Take your songwriting to the next level! ​Nashville In Your Town is an intensive, one-day songwriting workshop facilitated by platinum selling songwriter Kevin Fisher. You will experience the rush of being a staff songwriter in Music City while working with people who love songwriting as much as you do. Using his 20-year career of writing for such artists as Rascal Flatts, Little Big Town, Sara Evans, and many more, he will prod, encourage, and coach you through the creative process of choosing a title, telling a story, and structuring a song. He will also guide you through such business intricacies as collaboration, deadlines, recording and pitching your songs. The day starts with a short meet-and-greet and a few instructions. Then the fun begins: You will be paired off with one or two other writers, write a song from 10am to 1pm, switch partners, then write another one from 2pm to 5pm. Throughout the day Kevin will help each songwriter make his or her songs as great as possible through individual and group coaching. You will need to bring something to write with, something to write on, something to record your ideas to (your phone will work for all of the above), an instrument if you play one, and most importantly, an open mind and a willingness to be great! After signing up, you will receive an email from Kevin with details on how to prepare for the event. And don’t worry if you don’t really like country music. The same rules apply to rock, pop, Americana, folk, jazz – just about any genre. The goal is to push your limits and become a better songwriter. 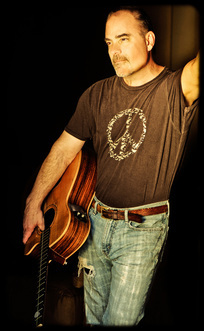 ​Kevin Fisher is a multi-platinum selling songwriter. Rascal Flatts, Sara Evans, Uncle Kracker and many others have recorded his songs. His song Crazy Life hit the Billboard top 40 for Tim Rushlow and is now the title track of the debut record of Home Free, the winners of NBC’s The Sing Off. Danics Dora, winner of the Hungarian X Factor, released his song Jelenido as a single in 2014. Singles in Germany and Canada are coming this year. TV shows like True Blood, Pretty Little Liars, Brotherhood, and America’s Funniest Home Videos have featured his music. His songs are in movies like Angriest Man In Brooklyn, Dear Dumb Diary, Frozen Ground and Coldwater. He’s written two touring musicals and a number of cartoons. He lives in Los Angeles with his wife and two children.